Healthcare or medical industry has to continuously adopt new and innovative ways to progress and improvise in order to provide better training and education to health care professionals and better quality treatment to the patients. Virtual Reality in healthcare is one of the innovations with which the health care professionals can learn new skills and improve upon existing skills in a risk free environment and use virtual reality to remotely cure diseases. Virtual medical training and education is one of the biggest advantages that professionals have got through the infusion of virtual reality in healthcare industry. Surgery training through virtual reality gives immense amount of exposure to doctors, without wanting a volunteer to participate. Professionals learn new procedures, technicalities, usage of equipment, and even interaction with patients through human simulation software are commenced. Simulations are used to teach how to use new medical devices in a virtual and risk free environment. Virtual simulation gives great opportunity to learn with technologies like force feedback, immersive touch and medical realities. It is an engaging and interactive method for surgeons, dentists, nurses, physicians to practice and understand in a practical, visual and safe environment, which is far more expressive and immersive than videos and theoretical training. Virtual reality in healthcare enables to diagnose with the usage of diagnostic tools and other MRI scans which prevents the need of surgery or any kind of invasion. Virtual reality diagnostics is convenient and less time consuming than the traditional methods. Usage of Robotic devices like arms however controlled by human surgeons enables them to be more accurate and reduces the amount of risk in surgeries which need more accuracy and precision, making it not only accurate but also a faster process. With accuracy and smaller incisions using robotic devices, it reduces the loss of blood and hence helps in minimising recovery time. 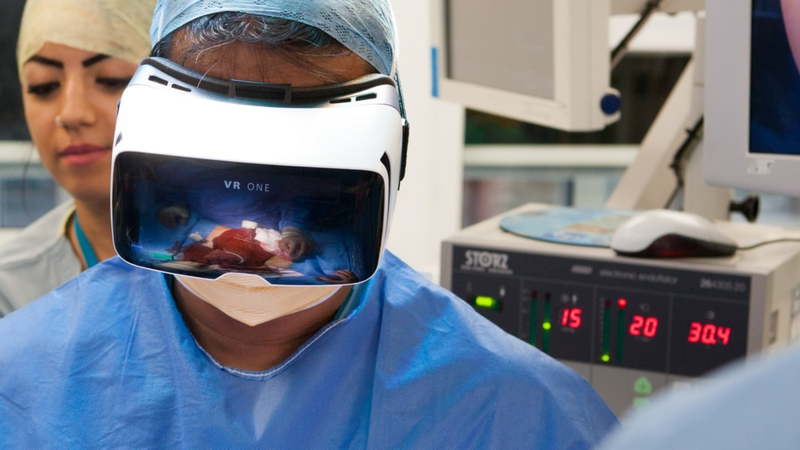 The precise and small movement is often difficult for human surgeons, while it can be achieved with by robotic devices, and virtual reality in healthcare enables to control those movements. Training and education is required to learn the right kind of pressure required to perform such procedures. Robotic surgical procedure allows surgeons to ensure risk margins to prevent reoccurrence of the disease .Virtual fixtures for a robotic surgery has been introduces to make it more risk free. 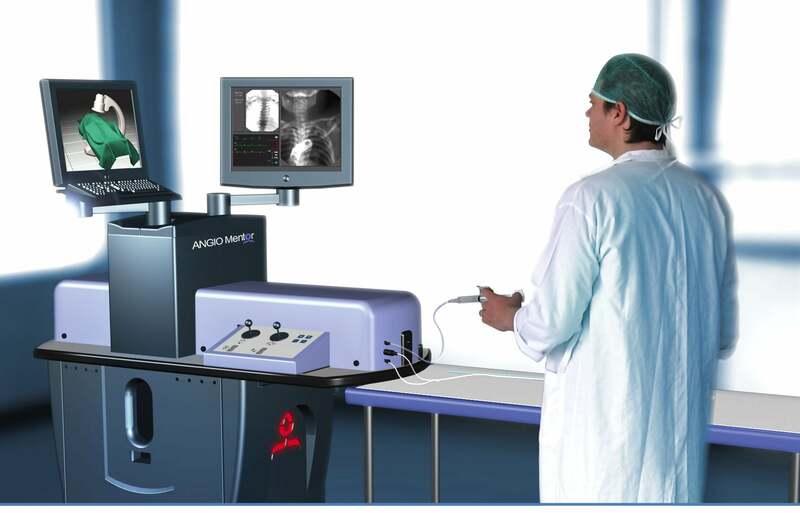 The skills required for the robotic surgery are required to perform an open or laparoscopic surgery. Proficiency is acquired by various educational and practical sessions to take those intricate decisions. Virtual reality in healthcare have therapies in a virtual environment which help psychiatrists to deal with patients with their fears, claustrophobia, anxiety, depression, post-traumatic stress disorder and severe pain cases by providing an environment where they can face their challenges in a controlled form and a risk free zone. They can experiment knowing that it’s a virtual and risk free environment, which can be stopped as per the situation and circumstances. Techniques like exposure therapy makes virtual reality in healthcare favourable for doctors and other health care professionals, it may also have an impact on increasing the overall treatment experience, making it very satisfactory. Studies are being conducted where virtual reality has positively impacted the quality and experience of their stay in the hospitals and rehabilitations. 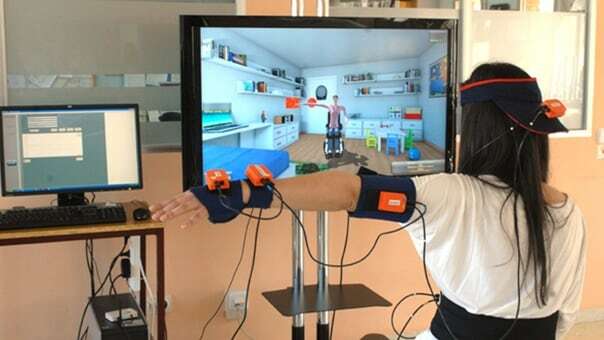 Virtual reality applications and software may also have a role to play in alleviate phantom limb pain, with sensors and its relations with the brain. The scope and market for virtual reality in healthcare is starting from training and education which makes it a risk-free, experiment-based learning process. The current main usage is in the controlled clinical environment which also has the right kind of devices and approvals for the entire process to be successful. The progressive industry is exploring options for patients, to get virtual reality as a public face and start programs like education on first aid, fitness, developing healthy habits, for people to take advantage of the virtual reality in healthcare to learn life saving techniques or live a healthy life. Virtual reality devices have a good market in the fitness industry too to either set fitness or exercising routine or to take advantage and improve one’s life styles. Virtual games used for meditation or doing brain wave monitoring and brain imaging have a huge scope in the industry. Experiences like a bike ride and walk on the beach through virtual reality will increase its scope for its consumer and outpatient market.